Barrington is well known as an equestrian community, its map spotted with pastoral horse properties and winding riding trails. There are all kinds of activities for horse enthusiasts, but I never knew I lived so close to The “Equestrian Diva”. 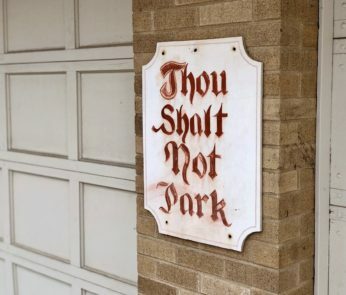 The sign on her office door says it all. She’s serious about competitive horseback riding, she’s been at it since she was a kid and her name is Toni Bruns. 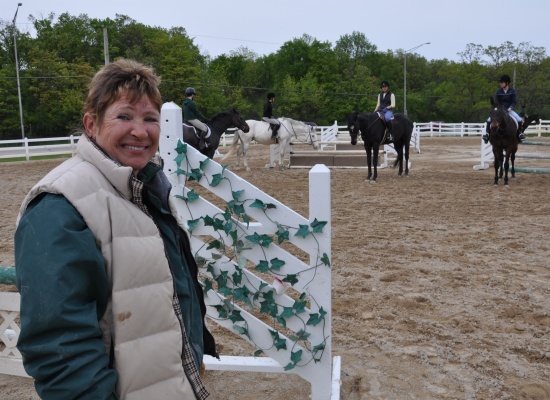 Toni has been the president of the Northern Illinois Hunter/Jumper Association for the past three years and she in charge at the Palatine Park District’s “Palatine Stables”. You’ve probably driven past this place a million times on the Southeast corner of Northwest Highway and Dundee Road. When I decided to stop and check it out, Toni was in the middle of an advanced group riding and jumping session and the girls were happy to show their skills for the camera. Toni says of their 680 students, most of them are girls age 10 to 15. 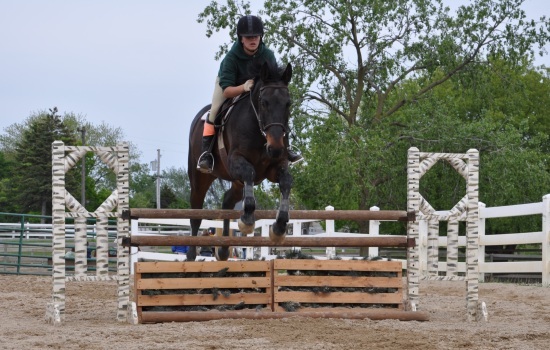 She says jumping is not just an exciting competitive sport, caring for and connecting with the horses is a lifestyle that teaches great responsibility. 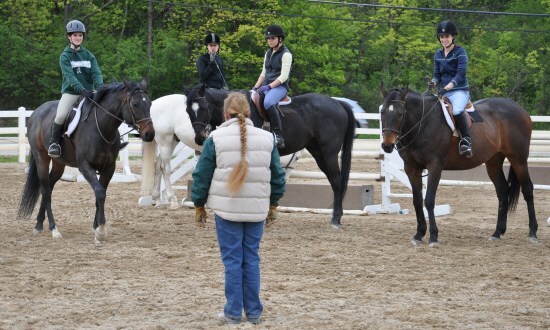 You can start your kids early at the Palatine Stables riding school. The group lessons are available for kids starting at age 8 and cost about $350 for a ten week session. That’s once a week for one hour. 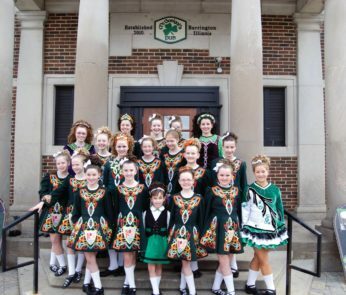 They also offer private lessons for adults and kids starting at age 5. Private lessons cost about $40 per half-hour and semi-private lessons, with only two students, cost about $35 per half-hour. If you’re just looking for something fun to do with your kids on the weekend, they offer pony rides on Saturdays and Sundays from 9:30 until noon and you can even schedule a “Pony Party” for your child’s birthday. 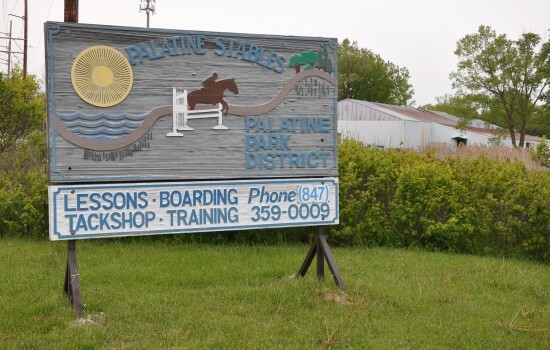 Palatine Stables is also a boarding operation, with space for 75 horses. And right now they’re preparing to host a Northern Illinois Hunter/Jumper Association horse show the weekend of June 11th. 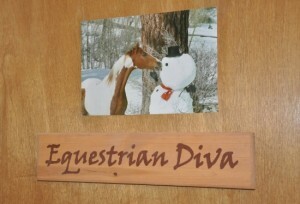 The E-Diva says admission is free and all are welcome to stop by and check out the show. She says it’s a great way to spend a beautiful day and appreciate one of the Barrington area’s favorite pastimes. I am riding my lease horse “Tyson.” He is such a good boy! I love the pictures!